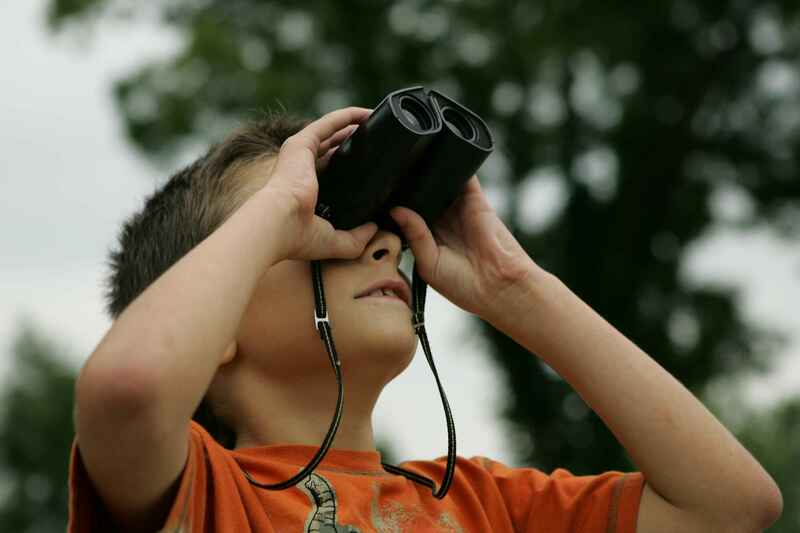 Looking for the best binoculars for kids? Then you’ve landed on the right page! Parents want what’s best for their kids and by you providing them with a pair of binoculars, you are opening an entire new universe for them. As the brain is constantly developing for kids, so the more you expose them to new and exciting things, the better their brain will be able to develop. By providing them with a pair of binoculars, you are letting them take their curiosity outside instead of them sitting inside the house and not doing anything productive. Even when travelling, you won’t have to worry about letting your children “have a turn” and use your expensive binoculars and then accidentally dropping it, as the binoculars that we will be recommending in this guide are built to be used by kids. As it may be hard to choose the right binoculars due to the large amount available, we recommend that you know what you should be looking for, so that you can see what features you need on the binoculars and what features you should try and avoid in order to buy the best kids binoculars. The investment to purchase a pair of binoculars for your child isn’t big, so we recommend that you get them one today, as it will help with their brain development and make them a lot more curious about nature. You need to be aware of certain concepts that act as factors which you must consider before choosing the best kids binoculars for your child. 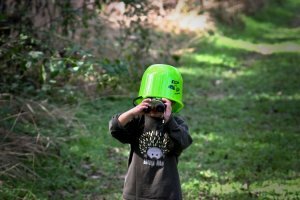 Let us help you sift through some of the essential factors that require your due consideration before you find the best binoculars for kids. The features of a binocular are mostly what makes up your experience with them. Therefore, you should try and get the binocular with the features that you want, so that you can have a better experience. For kid’s binoculars, it is recommended that you get features that will let your child have an easier time with the binoculars, such as a neck strap and lightweight design. It is also recommended that you get a binocular that has instructions or some sort of activity, so that your child can start playing and get used to the binoculars as soon as they receive it. Lastly, one of the most important features is the focusing feature as even adults have a hard time with this. Get a pair of binoculars that has an easy adjusting system, as it will give you an easier time, since your child won’t be asking you all the time to focus their binoculars for them. The quality is also a very important factor to look for when choosing binoculars for your child. Kids aren’t as strong or stable as adults, which makes it a lot harder for them to hold their binoculars for a long period. This will make them drop it a lot more and if the binoculars are of low-quality than it will wear out and break in no time. Therefore, it is important to get a pair of quality binoculars, as it will save you a lot more money overall, since you will have to replace the binoculars less often. Even if you have to spend a bit more money, we recommend that you get a higher quality product, as it will usually contain better features, better quality, and be worth a lot more value in the future. The price of the binoculars is what determines the amount and type of features that you will be receiving as well as the quality of the binoculars. As with all other products, the more you pay, the better the binoculars will be, but we recommend that you set a budget and stick to it, as you may end up spending more than you may want to or need to, to get the best possible binoculars for your child. As with the features, it is important that the binoculars you buy are compatible with your child. The bigger and more mature your child is, the more likely the binoculars will be more compatible with your child, but it is still recommended that you use common sense to see if your child will be able to handle the binoculars. There are some products that may be too heavy or too big for your child, so take factors like that into consideration when choosing the binoculars. If your child has small hands, pick a more compact binocular and if your child is a bit on the weaker side, choose a lighter binocular. Here is a list of some of the best kids’ binoculars that are quite popular among parents and are indeed worth your time and money. As one of the best binoculars for kids, this is a good product to start off with. If you don’t know which one to get and you are stuck between a few, then this one would be a good one to pick because it has all the features you would want in a kid’s binoculars plus a few extra goodies. As this product is a set, you’ll get a lot more than just a pair of binoculars, which is why we recommend that you get this one if you are stuck between a few. One of the main features of this product that makes it great is the safety eyepieces. These eyepieces are basically a tube of rubber that is placed on the lens in which you look through. As kids are a bit clueless when it comes to safety, this feature makes it less likely for your child to bang their eyes on the binoculars while using it and getting injured. Another feature that this product contains is the easy focus. This lets your child focus their binoculars without needing your support or needing to struggle, as the product is designed to be easily focused. Lastly, the product is shock proof due to the rubber coating that is coated around the binoculars which absorbs all the shock from any drops that may happen. Although the Kidwinz Binoculars aren’t the best in terms of quality compared to real binoculars, it still can last a long time if you help your child take care of it. This can also be a good opportunity to teach your child about how they should be responsible for their belongings, another advantage to getting your child a pair of binoculars. This product is quite durable compared to other binoculars for kids, so if you are worrying about your child breaking this product, then get this product as it is durable enough to last through a lot of drops. As this product is on the more affordable side of binoculars, the quality won’t be up to par as the more expensive models, but the features that this product contains is amazing when compared to the price you pay for it. The price of this product is on the budget range, making it an affordable buy. If you are looking for a more quality product, then you shouldn’t get this one, but a more expensive one as the quality of this product isn’t that great. However, for the price you are paying, you are getting a lot of value, especially if your child learns how to take care of it properly and not drop it often. With other products around the same price, the binocular will most likely come by itself, but with this product, you get a full package which includes a carry case and a manual for you to use to instruct your child. The best part about this product is the way it is compatible with many children. First, as we explained in the features section, the binoculars come with a rubber coating around the eyepiece, so that your child won’t hurt their eyes while using the binoculars. This lets kids who are very young still use this binocular as there will be no risk in them hurting themselves. The product is also shockproof which makes it very compatible for use with children, as may drop their binoculars more often than what normal binoculars might be able to handle. Lastly, this product is compatible with kids because of how easy it is to focus. The focusing system for this product is one of the best and will make it a lot easier for your child and for yourself as a parent to help adjust their binoculars. Overall, this product is highly recommended if you can teach your child to take good care of it and if you like the features that this product comes with. If you have a child that can handle a bit more quality, then this product is the one to go for, even if it is a bit more expensive than the others. We also recommend this product because it has a good balance between weight and size, so that kids with small hands will still be able to use it. You can also select your child’s favorite color to make them use it even more. 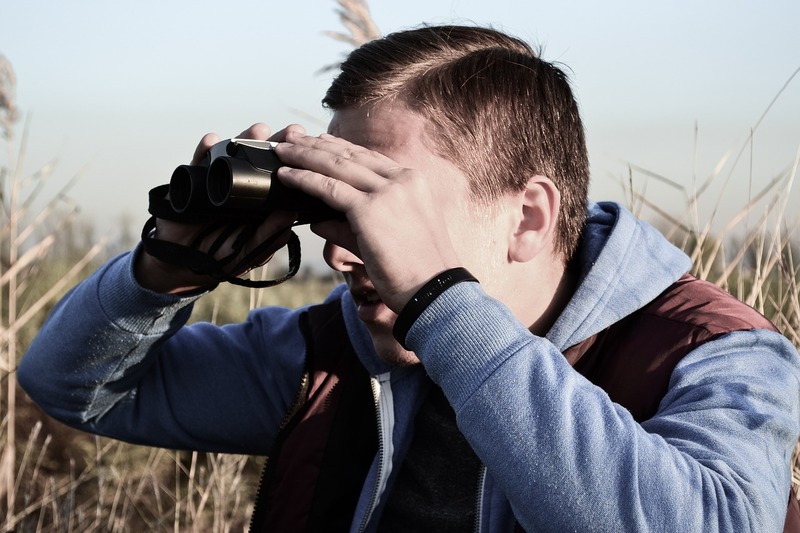 If you are looking for quality, rough, kid-perfect binoculars, this binocular is for you. A feature that we liked about this product is the way it can be folded because it allows for everyone with different eye width sizes to use it comfortably. So, if you happen to want to use your child’s binoculars, then you won’t have to use it uncomfortably because the eye width is too small, but you can adjust it to match the position of your eyes. Another feature that we know you’ll like is the way it can withstand a lot of drops due to the rubber armor that absorbs shock. Lastly, the optics are made of BaK 7 lens as well as a roof prism, so that viewing is so much clearer. This feature on the optics are mainly to focus more light into the binoculars, so that you have more light to work with to create your images a lot more smoother and clearer. This will give your child a better experience, especially in darker locations, as they’ll be able to see with better quality due to the Bak 7 lens and the roof prisms. The quality of this product is one of the advantages because it is built to be handled by a child. Whether they drop it or spill water on it, it will be able to survive through it because it is one of the most child proof binoculars that you can find at an affordable price. In addition, you get a carrying case along with your binoculars which will help keep your child from dropping it too often and cause damage on the binoculars themselves. This comes along with the binoculars, saving you more money and therefore creating more value to the product. Although affordable, the quality of this product matches others in the average price range, which is one of the reasons why we recommend this one over the others. While you may have to replace the others every few months due to your child breaking it, you’ll be able to use these binoculars for more than a year because of how durable it is. This product is also well made and the paint that is used to color the binoculars to the color of your choice is also well done, as the color doesn’t chip off after multiple drops like other products do. Yes, the price of this product is a bit on the expensive side compared to other models. However, it is still in the affordable range and because of all the features and quality you get, the price isn’t much to worry about. We recommend that you get this product, especially if you are worried about it not being suitable for your child, because the binoculars were built for younger children and has features that will make it a lot easier for your child to use the binoculars. Although a bit on the expensive side, we know that both you and your child will love these quality binoculars because it will last a long time and can come in your favorite color as well! Although not a product designed for kids, we believe that it can still be used by kids none the less because it is light, portable, and made to last through drops. The great thing about purchasing this product over the others is that you can use it for your own use without using a pair of a binoculars that looks like it was meant to be used by a kid. As these binoculars were designed to be used by adults who may prefer a smaller binocular, this one would be the perfect fit to be used by both you and your child. This product has a wide variety of features such as the wide FOV, HD view, and compact design. The wide FOV isn’t present in the other products in this guide as those are rather simple. However, with this product as it is targeted towards adults, has a bit more useful features such as the wide FOV which helps greatly with seeing with a wider angle. This product also gives you an HD view which will make images that may seem blurry on other binoculars a bit more clearer and higher definition. This product is also a bit more compact due to the way it was built to be small and lightweight, which is great since your child will be able to use it as well. This product is on the upper side in terms of quality because it is designed like a tank. Although it may be small and light, it is strong enough to last through years of drops and you can use this to your advantage, as your child is guaranteed to drop the binoculars every occasionally. As this product was designed to be used by adults, the feel of the product is great as well and the focus knob is made from a material that feels like it will last a long time. The price of this product is surprisingly affordable even though the quality and features that come with this product are so much better than some products in the higher price ranges. As this product can work with both you and your child, it is much of a better investment than getting one for just your child, as you will be able to save a lot more money. Since this binocular also is designed to be used by a kid, it will be the right buy for you, which is why we recommend that you get it today. 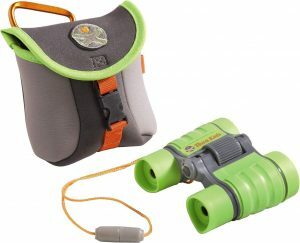 The Carson Hawk Kid’s Binoculars are a lightweight and highly durable pair of binoculars. They are ideal for kids and young observers. They are specifically designed to be small-sized, compact and lightweight so that they are perfect for kids. Also, the durable design and rugged structure make them suitable for rough and tough use. The solid structure and added warranty make it easy for parents to hand these binoculars to their kids without the risk of them being damaged easily. These binoculars come with a 30 mm objective lens and 5x magnification which is quite impressive for the overall size of the binoculars. The large objective lens fitted in a compact and lightweight body is a magnificent addition. This optical configuration is great for a pair of kid’s binoculars. The 5x magnification is great for kids because it maintains a wide field of view of about 312 feet at a 1000 yards. This makes it easier for kids to find what they are looking for without the view being too wobbly. Also, the large objective lens helps in gathering more light which results in a much better-illuminated image. 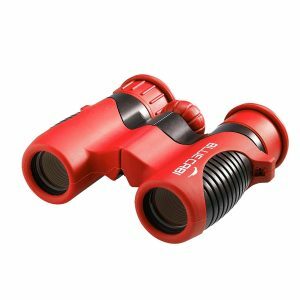 Since this pair of binoculars is going to be used by kids and kids have a tendency to be careless, these binoculars have been designed to be strong and sturdy. The compact size of 4.2×4.5×1.5 inches and an overall weight of just 1 lbs is quite impressive. Due to this level of compactness and light weightiness, this pair of binoculars is easy to carry and quite portable. 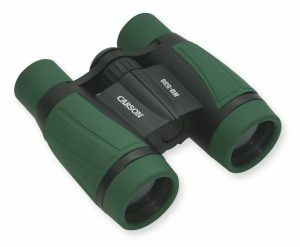 These Carson Hawk Binoculars are extremely cheap and great for letting your kids experience and observe things using a pair of binoculars for the first time. But you need to be aware that given the low price, the optical quality and configuration is supposedly low as well and good for kids only. 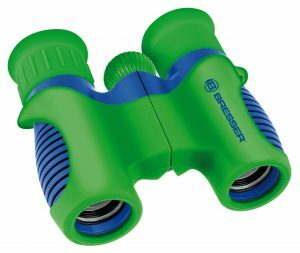 The ExploreOne 6×21 Binoculars by Bresser are specifically designed keeping the kids in mind. They are an ideal choice if you want to introduce the concept of binoculars to your kids for the first time and still keep the fun of a toy. With kids being the primary owners of this pair of binoculars, it is quite evident that these binoculars will be in for a rough ride. This fact has been kept in mind by the company and they have tried to create a strong, sturdy and extremely durable pair of binoculars that is ready for any kind of rough use. These binoculars have an impact-proof material composition and are meant to be tumbled around. The optical configuration of 6x magnification and 21 mm objective lens diameter provided by the prism lenses is superb and also incorporate rubber coated lenses. The overall size stands at 2.5x6x8 inches. At 9.1 ounces, this pair of kid’s binoculars is slightly bulky. The presence of BK-7 prisms and fully multicoated lenses ensure bright, crisp and colorful view. The rubber armored body makes sure that the binoculars can withstand rough use. With respect to the price, they are right in the middle. When compared to the durability, magnification and optical quality, the price is on point and you won’t regret your purchase. These kid’s binoculars are a cool mix of a good optical binocular and a fun toy. The BlueCabi 6×21 Binoculars are perfect for those who want to get a feel of real binoculars without getting overwhelmed by the complexities and capabilities of a real one. These binoculars aren’t too high powered but they aren’t a toy as well. The optical components used and the magnification is quite decent. The optical configuration of 6x magnification power and 21 mm objective lens is quite good. The lenses are specifically rubber coated to ensure a greater level of safety. They also feature prism lenses to improve the quality of images. These binoculars come with a nylon bag and a neck strap to help keep them secured and easy to access. They can definitely be considered as one of the most lightweight binoculars on this list with an overall weight of mere 0.5 ounces. The size stands at 4.4×5.1×2.2 inches. The use of resistant plastic, which is a shockproof material, makes them tough and strong but tend to reduce the overall grip of the structure. In terms of price, these binoculars stay at the middle of the usual price range. But for the same amount, you are guaranteed a good quality product producing decent results. This pair of binoculars can be considered as a hybrid of a toy and a real pair of binoculars and can act as a great stepping stone for your child to own a high powered binocular a little bit later in life. 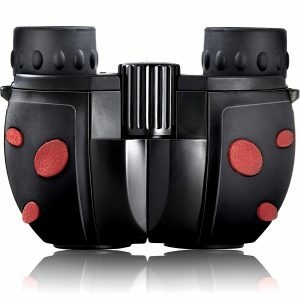 The ATTCL Beetle Mini Tough binoculars for Kids are the most uniquely designed pair of binoculars with a cute ladybug shape. This stylish pair of binoculars is very compact and lightweight with a great optical configuration and remain highly functional as well. The magnification of 8x coupled with a 30 mm objective lens is a powerful combination for such a small-sized pair of binoculars. The power crystal optics are some of the best optics that can be incorporated in such kind of mini, kid-friendly binoculars. The soft, rubberized eyecups are a great addition for enhancing the comfort of use. The overall built is strong and sturdy and can withstand rough use due to impact protection. These binoculars can surely take a tumble and remain ideal for use by kids of all ages. The use of easily adjustable focus wheel is cherry on top for the ease of use. 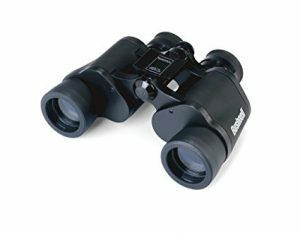 These binoculars by ATTCL also come with foam grips and a carrying strap for easy handling and transportation. The overall weight remains at a decent 6.4 ounces. This pair of binoculars is a great purchase and a long-term investment until your kids are old enough to purchase a real, high powered pair of binoculars. They can never be categorized as toys but are so easy to use that they remain kid-friendly even at such great optical configuration. 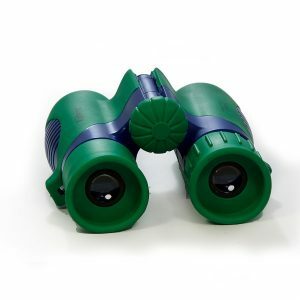 The HABA Terra Kids Binoculars are a perfect outdoor accessory for your kids and are slightly closer to being a toy style binocular than a proper pair of binoculars. 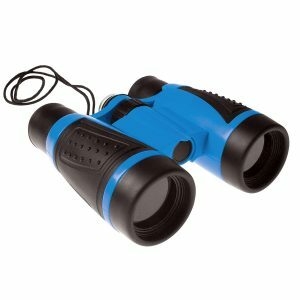 These binoculars are appropriate for your kids to simply understand the concept of a binocular without going into too much detail or without having the optical capability to observe or capture great views. These binoculars come with a rubberized grip so that they don’t slip from your kid’s hands. Also, to enhance the ease of use and become more kid-friendly, these binoculars feature a focus knob and a neck strap for safer transportation. To increase the comfort of use, these binoculars use rubberized lenses and guard bumpers. Also, they come with soft eye spacing. The magnification power of 4x is quite decent given they are a pair of kid’s binoculars and help in achieving a pretty wide field of view suitable for your kid, which isn’t possible with binoculars having higher magnification. With respect to weight, they are on the heavier side with an overall weight of 9.1 ounces. They measure 11.1×8.3×1.6 inches in size. With respect to price, they are slightly expensive as compared to other similar toy style kid’s binoculars. This pair of binoculars is suitable for your kids to test the waters and start exploring the optical world. They will help them become more intrigued towards binoculars and help them move towards possessing some real and high-quality binoculars later in life. The GeoSafari Compass Binoculars from Educational Insights can definitely be considered as the best binoculars for kids and are meant to educate your child about a pair of binoculars. They are meant for slightly older kids and are great in imparting a STEM-oriented learning experience. Attributing to its name, this pair of binoculars comes with an inbuilt compass for added fun and also helps build a basic understanding of orienteering. Slightly older kids get to have a great experience by learning about the intricacies of objects around them as well as nature and get a chance for an in-depth exploration. Such type of learning experience supplements the learning taking place in your child’s classroom and brings a fun experience too. These binoculars weigh around 6.4 ounces and have an overall size of 4.3×4.3×1.6 inches. They come with a strong leather grip for a solid hold and enhanced ease of use. The optical configuration stands at 4x magnification and a 30 mm objective lens. However great these binoculars must be for kids, they aren’t classified as actual binoculars and are priced accordingly. These binoculars are a great starting point for your kid in the world of optics and binoculars and can help them build their interest in this field. 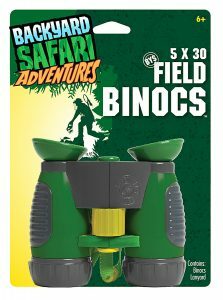 Backyard Safari Field Binoculars are a great pair of kid’s binoculars that help younger kids get a feel for what binoculars really are and what they are supposed to do. 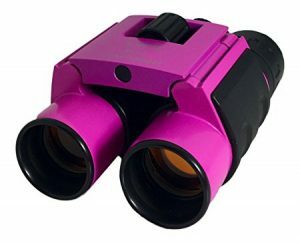 This pair of binoculars is extremely durable and meant for rough and rugged use by young kids. They come with a good solid grip for easy handling by kids and have a decent magnification level. For enhancing the comfort and ease of use, the focus can easily be adjusted which prevents any kind of eye strain or a headache in kids. These binoculars are waterproof as well which helps your kid view things even in the rain, snow, etc. Even if your kid accidentally drops these binoculars in water, you don’t have to worry about the binoculars being damaged. This means that your money doesn’t necessarily go down the drain, even if the binocular does. They come with a neck strap for better handling and transportation. The overall weight of 6.4 ounces and a size of 2.5×4.8×4.5 inches is quite decent. Also, in terms of price, they are quite cheap. The next time you go on a trip to the mountains or go bird watching, take your child with you, so that they can explore the wonders of nature and explore without feeling restricted. With their own binoculars, they’ll be able to take their curiosity to the next level, and who knows, they might even start a hobby that may last through their lifetime. Don’t think of it as investing into a binocular, but think of it as investing into your child’s development, as having a binocular will let them explore like never before, so get one now before your child grows too old for it!